Read more: What Do I Need to Bring to a Test Drive? 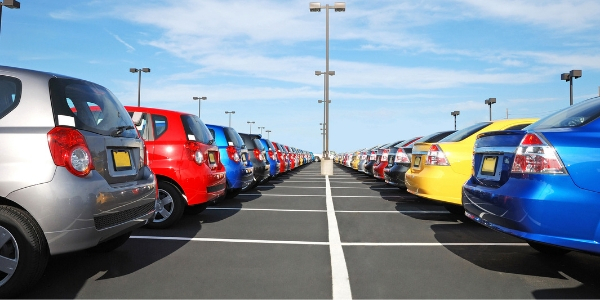 Smaller price tag: Shopping for new vehicles with a tight budget can make finding your perfect vehicle difficult but looking at used vehicles can give you a wider range of options with smaller price tags. Used vehicles often offer drastically lower asking prices and will often have a lower sales tax than its newer offering. Shopping for a pre-owned vehicle can save you a significant amount of money while giving you just as many features as a new vehicle. More features: When you shop for a used SUV, often times you’ll find that the previous owner has put in a lot of upgrades or new features that you would have to pay extra for in a new model. Not only are you going to pay less for the used option, but you’ll get more features included in the asking price than its newer offering will provide. Certified Pre-Owned SUVs: As you shop for a used vehicle you’ll come across the term “Certified Pre-Owned” quite a bit. Certified Pre-Owned vehicles come with more perks than the average used car, including extended warranties, a free vehicle history, and it will have gone through a full multi-point inspection. Going with a Certified Pre-Owned SUV option can give you peace of mind if you are hesitant about choosing a used vehicle. Read more: How Does Buy Here Pay Here Financing Work? Shopping for a used SUV comes with more perks than most may assume. With smaller price tags, more features, and Certified Pre-Owned options, choosing a used vehicle is a great choice for any driver in the market for their next SUV. Check out our online inventory to see our full lineup of used options and if you’re looking to trade your vehicle in be sure to use our online estimator to see how much we can offer you for your trade-in. This entry was posted on Wednesday, December 19th, 2018 at 9:16 pm	and is filed under Dealership, SUVs. You can follow any responses to this entry through the RSS 2.0 feed. You can skip to the end and leave a response. Pinging is currently not allowed.